Fourth-year medical student Emilie Pinto was announced today as Campbell Medicine‘s Student DO of the Year. 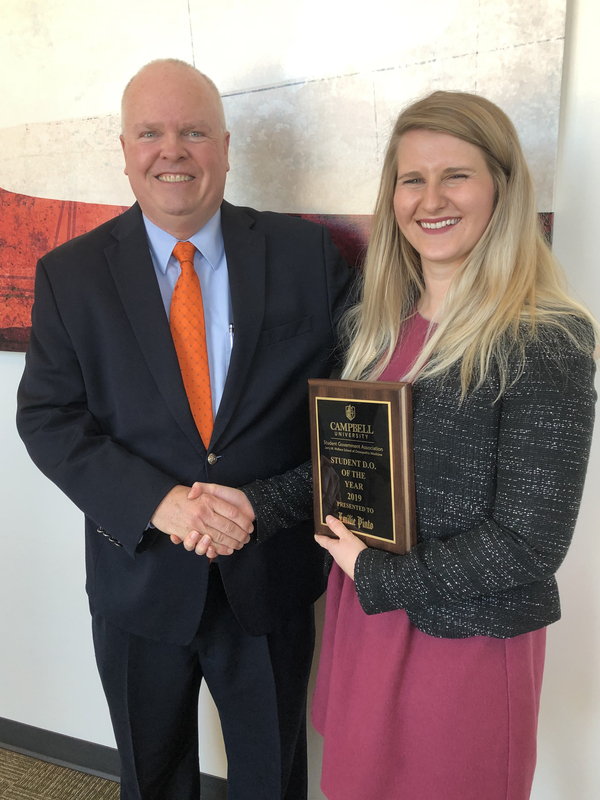 Sponsored by the Council of Osteopathic Student Government Associations (COSGP), osteopathic medical schools select their Student DO of the Year on the basis of the student’s service to their college, leadership and research experiences, and dedication to the osteopathic profession. These Student DO’s of the Year are then entered into a national competition to be named the National Student DO of the Year award which honors and recognizes an osteopathic medical student who is committed to the principles of leadership, community service, dedication, and professionalism by the Council of Osteopathic Student Government Presidents National Selection Committee. Pinto was the 2018 nominee from Campbell Medicine. “The Campbell SDOY Committee selected Emilie Pinto for numerous reasons,” said Harsh Terala, SGA Secretary. 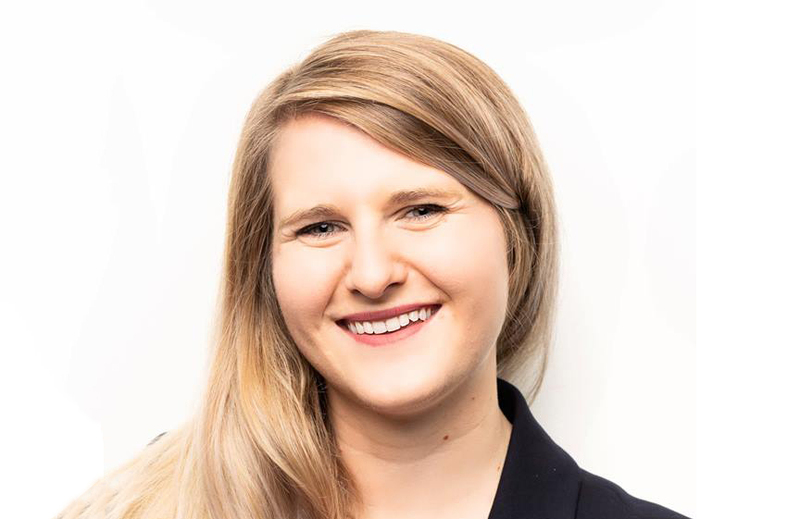 “As a previous SGA President and National Secretary of COSGP, Emilie is a natural leader who reaches out to everyone. She is a student who is truly the ‘all-rounder’ we all aspire to be. Her genuine and caring personality only encourages us to be more like her; not only is she a student who leads by her example, but she also embodies osteopathic principles as a student leader and doctor. Pinto said she was “humbled and truly honored” to be chosen. Dr. John M. Kauffman Jr., dean of the medical school, presented Pinto with a plaque at a meeting of the student body. “Emilie has distinguished herself as a student and volunteer through all four years of medical school — I can’t think of a more deserving person to receive this year’s award,” Kauffman said. The National Student DO of the Year will be announced at the American Association of Colleges of Osteopathic Medicine (AACOM) meeting in Washington D.C. in April.